A throwback to the sixties, the Retro Chest Cooler is an elegant and functional design that gives a classic retro look and feel to any space in-store. 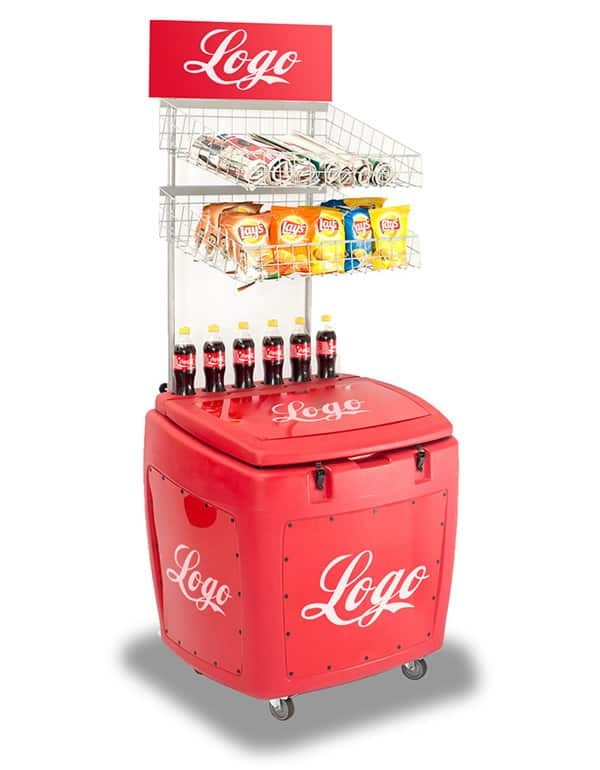 This is our innovative solution to informal vending! Small informal shops for self-service sales. 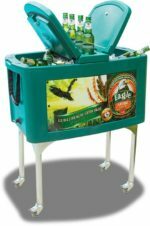 The Retro Cooler does not require any maintenance. 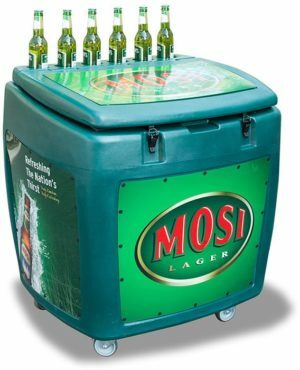 It is made from 2 plastic parts (body and hinged lid), and 4 galvanised steel castors, which could be easily replaced. 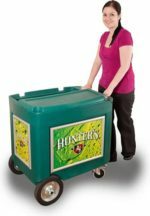 The Retro Cooler, which holds between 3/4 cases (pack size dependent) is efficient for sales in a small space, rather than an under-utilised fridge. 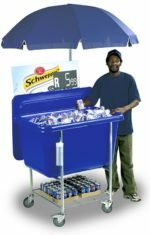 The Retro Cooler is made of LLDPE plastic, using the seamless process of rotational moulding, and does not go brittle or fade in direct UV sunlight (approx. 10+ years). 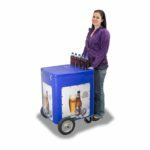 The Cooler is supplied on heavy-duty castors for easy portability. The Retro Cooler’s PU foamed walls offer temperature maintenance of 2-4 days. 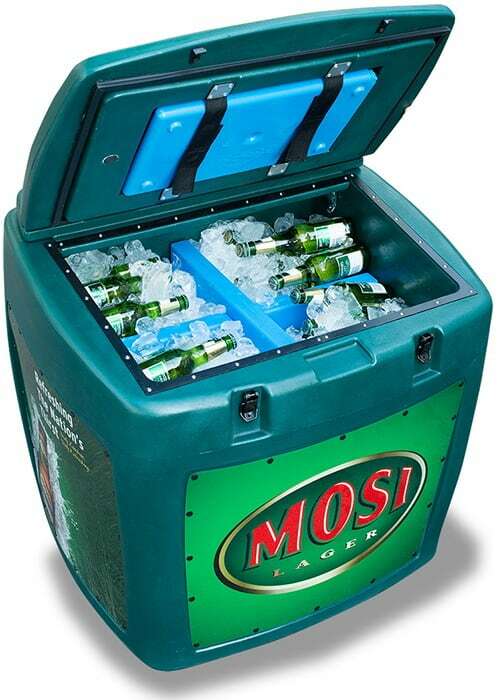 The Retro Cooler also uses a “magnetic fridge seal” to ensure a perfect seal every time. The plastic used is recyclable. Custom colours & branding available with 5 interchangeable, branding panels. 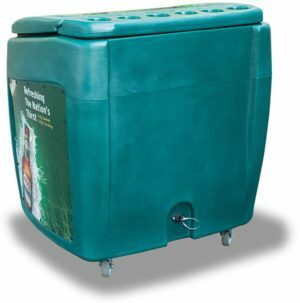 The eutectic elates are pre-chilled “cooler blocks”, which are reusable and therefore eco-friendly. Recessed back to retrofit wire baskets for merchandising bread, newspapers, sweets, etc.